I told you Gail would have to have that tomato soup and grilled cheese at SR24–we went back for lunch on Saturday, before we left on the Oakland Art Guild tour. 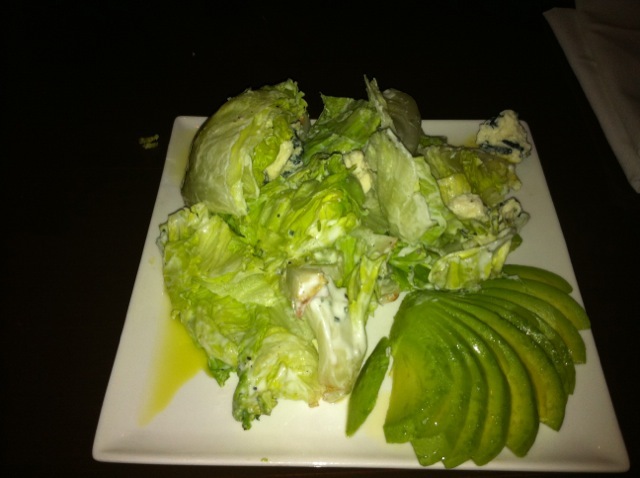 Gail started with the Iceberg Lettuce salad–notice the half avocado artfully sliced. I’m well known for my addiction to Caprese salads, so there was no way I could pass up this twist–ricotta instead of mozzarella. The heirloom tomatoes were spectacular, the housemade ricotta was interesting, but less flavorful than a good mozzarella would have been. The most interesting thing was the thin bead of balsamic vinegar along the bottom of the plate. You can spend $100/ounce on the best aged balsamic, but no restaurant could afford to serve it. So the really smart chefs take a commercial grade of balsamic, add star anise and sugar, and reduce it mercilessly. Time, labor and inventiveness replace money yet again. While Gail tucked into her soup and salad (with a side of buttery, cheesy grits! 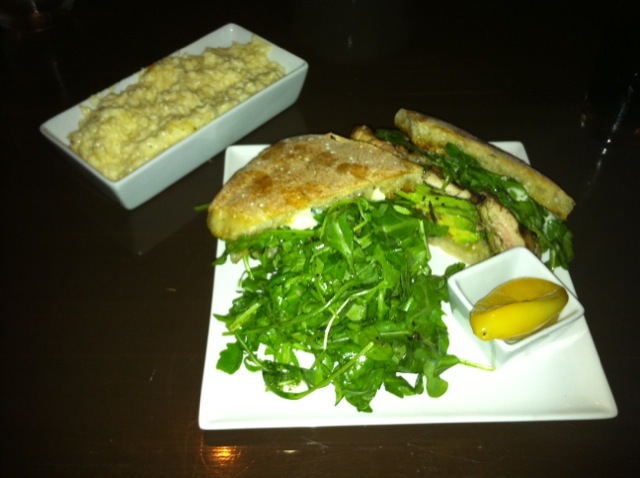 ), I ordered the chicken sandwich–grilled thigh meat, avocado, blue cheese all piled on Acme Herb Slab bread. It was perfect. There was some salad on the plate, but I wasn’t in the mood. Then there was this pepper…………………. So I’m a noted sissy when it comes to hot things, but I thought I should try it. The first nibble was gently, tasty, slightly vinegary. The second nibble seemed safe, so I took a larger bite. Mistake–the damn thing was really just the exhaust from a jet engine, collected and painted yellow. My mouth was on fire, and diet Coke doesn’t put that out. Enjoy the sandwich, but just look at the pepper. Sounds delicious. Finding food here is a major effort. 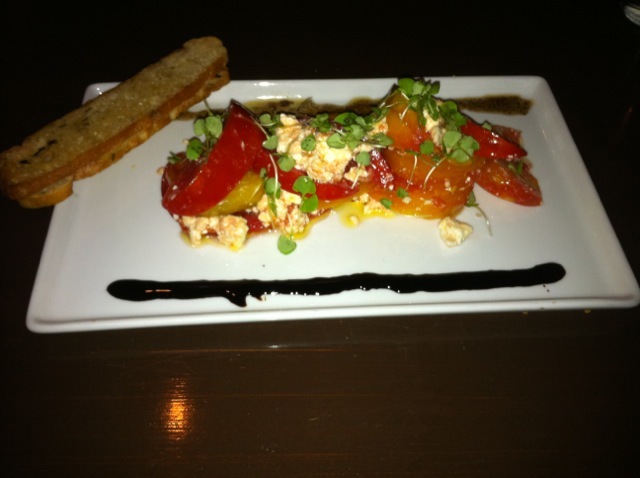 Mozzarella and Balsamic vinegar…OK…BUT Heirloom tomatoes….NO…a small head of iceberg is about $4.00 … More than 50% of the dishes served have red chili paste added… and always a side of KIMCHI…which ranges from mildly hot to “we use this to peel paint”… Enjoy your blog…it does remind me of what I miss about the USA.